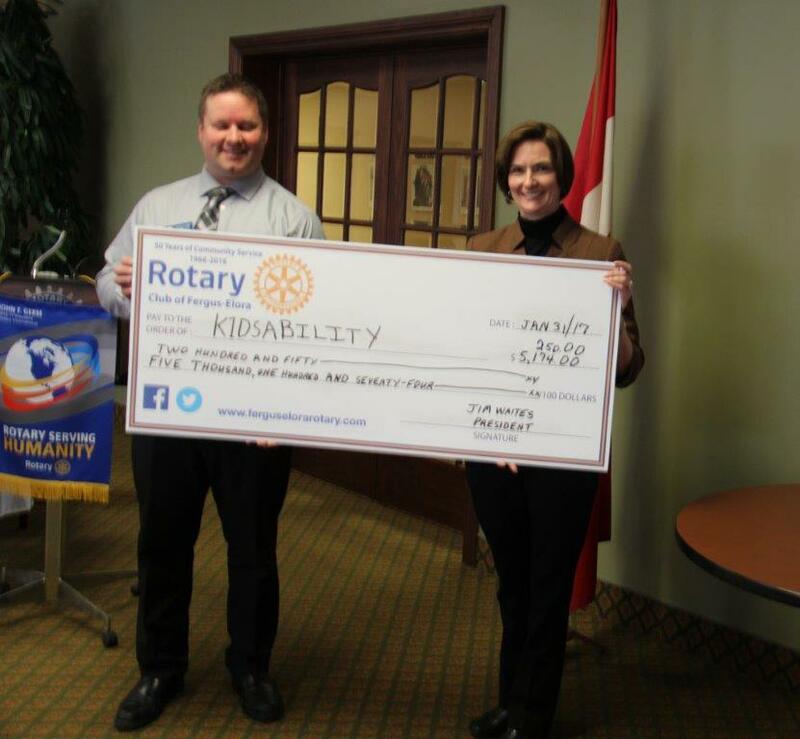 Jim Waites, Club President presented a $5,174.00 and $250.00 to Lisa Talbot, CEO of KidsAbility Foundation. The larger amount is the second half of a donation that was approved last spring for a speech pathologist on a part time basis at the Fergus location. The smaller amount was to put together a pilot program for boys in Fergus with disabilities for socialization.